So, it was that time of the year again! 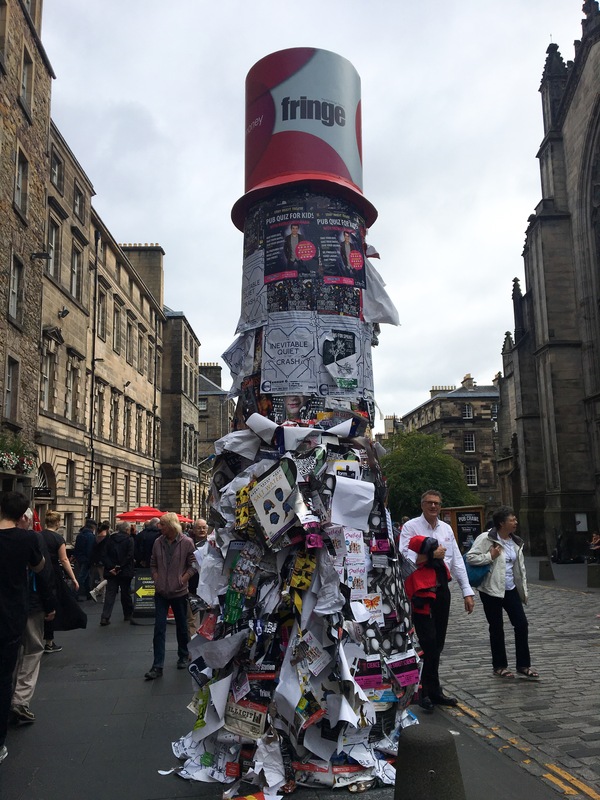 Edinburgh’s Festival Fringe came back in full swing and the city was alive. There was not a single street rendered empty and it became impossible to escape the buzzing coming from thousands of voices speaking and singing, the cheering of crowds, to the sound of bagpipes and guitars. My first experience of the festival this year was…not the best (to say the least). I knew it would be busy, of course I did; I’ve saw many pictures and heard countless stories of previous years. However, I don’t think I realised, or I just massively underestimated, how busy it would actually be! 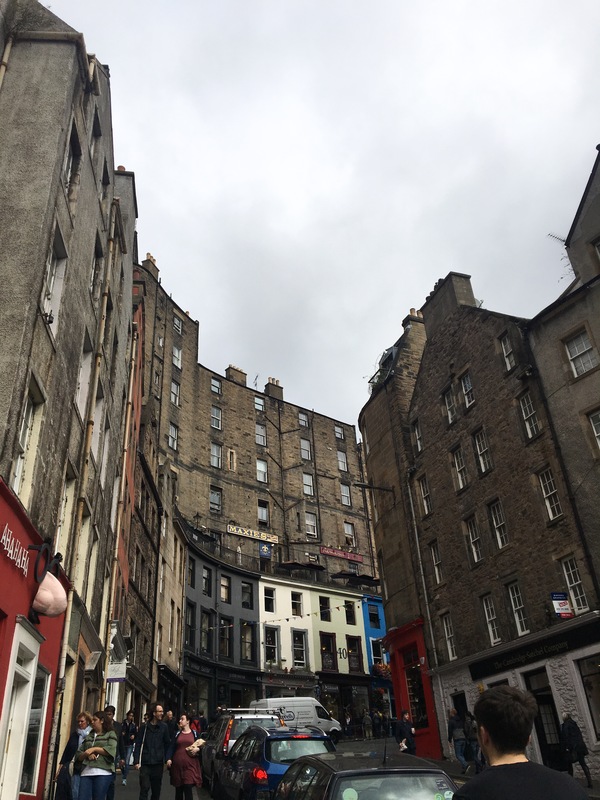 My boyfriend and I decided to brave the Royal Mile just one week in to the festival. From afar, we were able to catch glimpses of different performances taking place at multiple areas on the wide stretch of road and we were completely intrigued by it all. I mean, what exactly was attracting this huge crowd? It wasn’t long before we were literally pushed and thrown into the swarm of both locals and visitors alike who must have also came with similar interest as ourselves. It was the first time I have ever experienced extreme anxiety. So much so, I was on the verge of a panic attack. It was genuinely hard to move through the thousands of people surrounding me, and with flyers and leaflets being dished out from left, right and centre, I believed I had no escape. It became harder and harder to breathe. I am already claustrophobic at the best of times and so I’m pretty certain you could guess how I was feeling. No one would, or could, move out of the way for me and it was a physical fight to get out at the other end. I was in shock. It was a surreal experience, to literally feel as if I was drowning amidst crowds of strangers. I had never experienced or saw anything quite like it despite living here for two years now. The relief I felt to be free from the crowd was exhilarating and I felt as if I never wanted to be involved with the festival again. However, a week or two later, I started to feel extremely guilty. 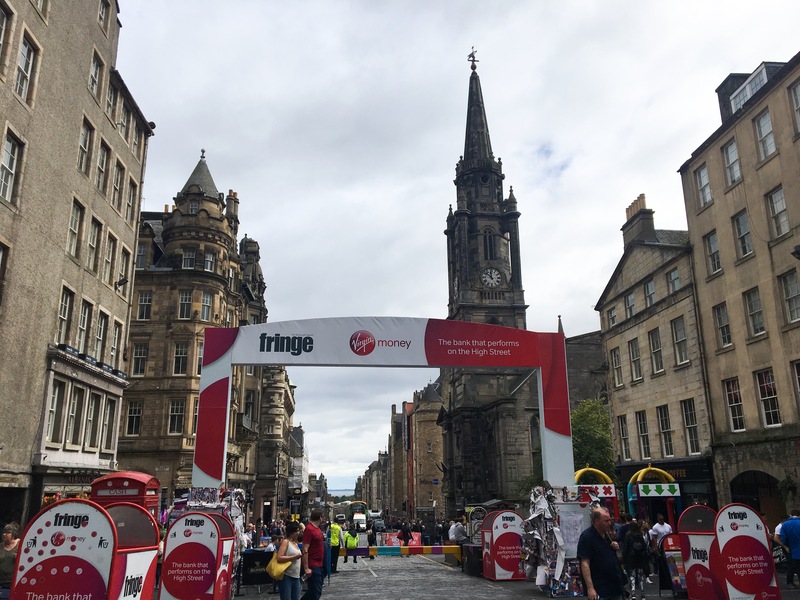 Each day at work, I was serving and speaking to tourists who had travelled thousands upon thousands of miles to visit the Festival Fringe and take in its shows and festivities. Yet, here I was, living in the city itself and not even enjoying it. It was in that moment that I decided to try it again, to give it another go and try to embrace the coming together of all of these different cultures and backgrounds. Perhaps it was time to try the shows, rather than returning to the centre of town. We tried to get tickets for Colin Cloud, a magician, but they unfortunately sold out before we had the chance to get our hands on them. However, we decided to go to a show which was along the same sort of lines and went to see Tomas McCabe. He advertises himself as a mindreader and his show was free. I’ll admit that I was initially sceptical; I just cannot understand how a complex mind can be read within seconds by a stranger. But alas, I was mindblown and left amazed at the show. It was great fun and incredibly interesting. He was able to read multiple minds from the audience and even hypnotise someone. 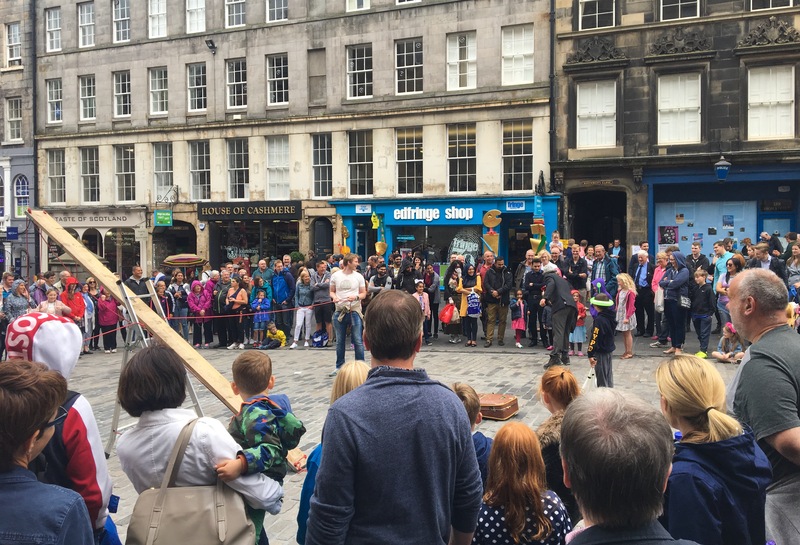 I also was able to head back to the Royal Mile on the very last day of the Fringe (28th August) and it was much more quiet and easy to move, so I was able to enjoy some of the performances on the street that day. It’s just a pity that it took me so long to gain the confidence to return to the festival, because once I did I thoroughly enjoyed it. Nevertheless, there’s always next year, and I’ve made a promise to myself that I will attend more when it comes back around. 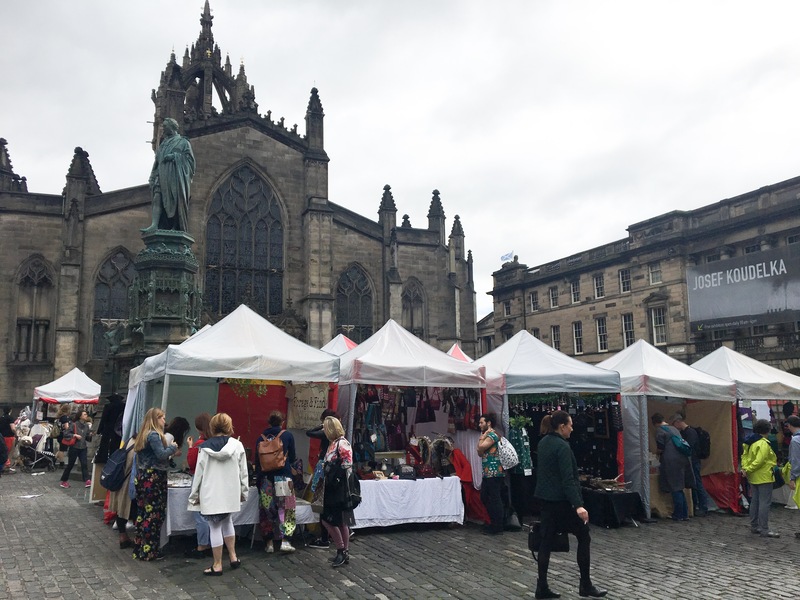 All in all, the festival truly reveals another side to Edinburgh; a fun, wild and crazy side which can provide you with memories to cherish for life. But please, be aware and be prepared for the madness that entails – especially if you’re not used to big cities and crowds!